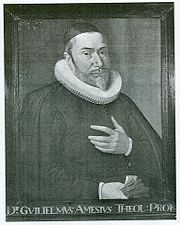 William Gurnall (1617–1679) was an English author and clergyman born at King’s Lynn, Norfolk. He was educated at the free grammar school of his native town, and in 1631 was nominated to the Lynn scholarship in Emmanuel College, Cambridge, where he graduated BA in 1635 and MA in 1639. He was made rector of Lavenham in Suffolk in 1644; and before he received that appointment he seems to have officiated, perhaps as curate, at Sudbury. Ephesians 6:10-18. The subtitle of the book is: The saint’s war against the Devil, wherein a discovery is made of that grand enemy of God and his people, in his policies, power, seat of his empire, wickedness, and chief design he hath against the saints; a magazine opened, from whence the Christian is furnished with spiritual arms for the battle, helped on with his armor, and taught the use of his weapon; together with the happy issue of the whole war. A man’s book if ever there was one!—Ed. A funeral sermon for Lady Mary Vere, based on 1 Corinthians 15:58. A sermon on Isaiah 1:26. Want to discuss something pertaining to William Gurnall? Leave a public comment below (subject to moderation), or send a private message to the webmaster. I Thaught ther is a site!! from Gurnall with the compete Bible explanation. Every chapter. Verse bij verse. Is that correct? Do you know about this? Or do I make a mistake. Is it somebody else? I do not mean Henry or Dachsel. Hope you can help me. Would be great!!!! I am not aware of a complete commentary on the Bible from William Gurnall. The portrait is the same for Ames! Which is correct?